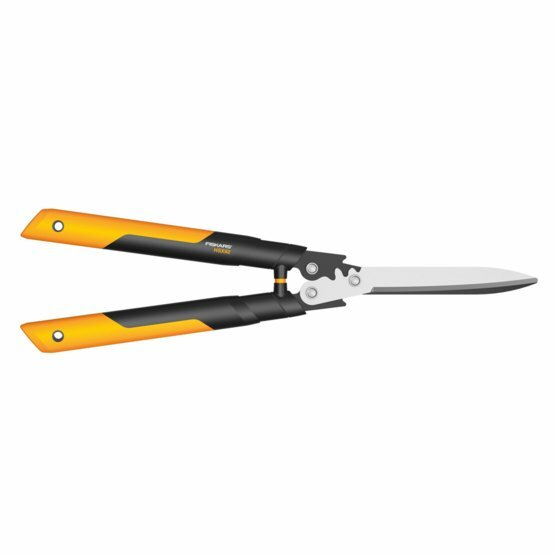 For effortless trimming of hedges and bushes. Unique PowerGear™ mechanism makes cutting up to 3 times easier vs standard mechanisms. Light-weight and durable with PTFE coated precision ground blades. Optimum comfort and balance with SoftGrip™ handle construction.